I'm not the type of adult who gets dressed up (or excited) about Halloween - but it is interesting to see how the holiday changes over the years. I was reading an column in the Jackson Sun (out of Tennessee), titled Good grief, we always had fun on Halloween. In the column, Dan Morris speaks to some of the changes of Halloween, including the significant spending, and inbeds some interesting top Fives. Morris list the top 5 costumes for adults, kids and pets. One of the things I found interesting was the two comic characters make these top fives - Batman for adults and Spider-Man for kids. 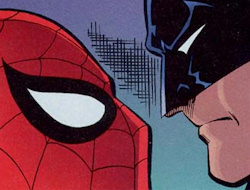 It doesn't necessarily surprise me - I'd certainly rather show up to a party as Bruce Wayne than Peter Parker, but even still I don't know that I would have guessed these fellows to make the split cut. Apparently witchs & pirates are for all ages, while adults stay away from the pumpkin costumes. This a guest post and advetorial brought to you by Marks and Spencer. These days, you can simulate the cinematic experience in your home more effectively than ever. All you need to do is organize a comfortable room and head to M&S for a sharp flat screen television and clear surround sound system. Then, not only will you have an enviable setup regarding the actual viewing experience, but you will be nicely prepared to gain access to brand new films through premium television programs. Films are moving from the cinema to our living rooms more quickly than ever before, meaning that you can sometimes get new releases on your home screen in a matter of weeks after they leave theatres. For example, one film that most people are most excited for this holiday season as it becomes available is Harry Potter & The Deathly Hallows, Part II. The finale of the Harry Potter film franchise was, perhaps, unlike any event in the history of film. Of course, there are classic old films, brand new blockbusters, and even exciting series like Star Wars and The Godfather trilogy, about which people have been very excited before. But never before has a film marked the conclusion of such a large, monumental worldwide event. Ever since the first book was published, the Harry Potter series captured the imagination and emotion of millions of readers and viewers worldwide – and, as was only fitting, the film series finale had all of the majesty and spectacle it required to bring things to a worthy end. Perhaps the most interesting aspect of the finale, in its film form, was being able to see how beautifully all of the actors grew into their roles. One of the most appealing details of the final book of the series was that most of the “good” characters we’d come to love came back, in some capacity, to fight for Hogwarts. It almost brought readers chills to read about Fred and George Weasley flying back to school through windows during battle, or to see Harry commanding the former members of “Dumbledore’s Army” against Voldemort’s Death Eaters. This wonderful series was largely about young witches and wizards coming of age and taking over the fight – and part of what made the last movie so spectacular, and so fitting, was that we were able to see the actors and actresses do the same. Fans of the series watched these young men and women from the time they were grinning children until now, and for many, watching their development and maturity in this final chapter brought to life in an even more real way the transformations that occur in the series. But of course, this was only one aspect of what made Deathly Hallows Part II so special for fans. Sometimes you need something that's calming but has energy at the same time. This is a 10 song set for my evening that began with a bath for my son, a shower after a day of traveling, and then a calm in a quiet house. So here's your Sunday evening music set. It's sort of like a mild salsa with a punch of flavor. 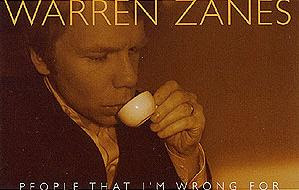 Pictured above album art from Warren Zanes 2006 album People That Im Wrong for, which features the song "Carry Me/Carry You". "I'm just a little bit caught in the middle..."
The song "The Show" is not an original song in the film, but actually a song by Lenka, off her self-titled album, Lenka which came out in 2008. Film inspired costumes can always be a fun idea, and if you're an Oscar fan, finding the perfect Oscar Nominated film costume, might be right up your ally. 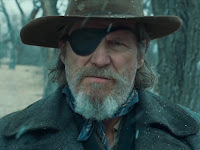 But despite the 10 nominated films for best picture last year, I think you will be hard press to find much inspiration from these films in terms of costumes. Even where characters have their own style in film, the popularity of some of these movies might be limiting, and limit your abilities. Now, if you're doing more of an impression, you might be able to pull off The King Speech's King George VI (Colin Firth) with a stutter, a suit, and a bowler hat, but otherwise, you might be on your own. I think your best bet for a costume inspired by a 2010 best picture nominated film is dressing as a ballerina from Black Swan, specifically with the heavy eye make-up. And even though this film may have limited viewers, the movie poster alone should make this a recognizable costume, as one of the most iconic looks of 2010. For an easy (and less successful) costume, you could always try to dress up as Jennifer Lawrence's character, Ree, from Winter's Bone, but I doubt anyone would draw the connection, again, a nice Missouri back country accent could help. In reality, this is hardly an option at all. You're equally out of luck. You could always try to pull off an Inception character, or go for the stand by of a Toy Story 3 character (that first appeared in the 90s). 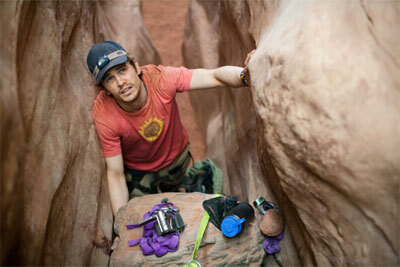 Instead, if you are up for something potentially distasteful, you could try to pull off 127 Hours' Aron Rolston (portrayed by James Franco)...a large rock-like object and a utility knife would be a must. If you can wear a Phish T-shirt, you will be off to a great start as well. Similar to the challenge with the other nominees, another option could be Dicky Eklund in The Fighter, as portrayed by Christian Bale. You might want to grab a pair of boxing gloves to help make the connection, and even then, if you're not rail thin, good luck pulling this off. But when it comes down to it, for the guy, there's only one real choice, and that is Rooster Cogburn as portrayed by Jeff Bridges in True Grit. If you have a spare pirate's eye patch sitting in your closet, your costume is half done. 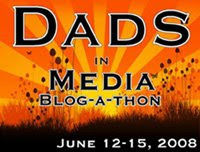 Otherwise, you're out of luck...I don't see many option in last year's line up, and I don't think there's even a chance of doing something with The Social Network or The Kids Are All Right. Not a single trick-or-treat worthy costume in these films. So, when I recently got a new phone, I was cruising for apps for airplane/travel entertainment and saw that the "Tap Fish 2" app was a free and favorite application on the iPhone. I navigated the application and figured out how it worked, and found it to be a completely unstimulating game, that was only made more frustrating by the fact that it's currencies (coins and dollars), was really a sham since the dollars essentially can only be purchased and the game, while totally functional at the free level taunted you with portions of the application locked away to someone who for whatever unhealthy reason would waste money on fish bucks. The game, is in essence, a modern fishy version of the old "virtual pets" of Tamagotchi's - or in a way, a simpler version of a "Sim" game. 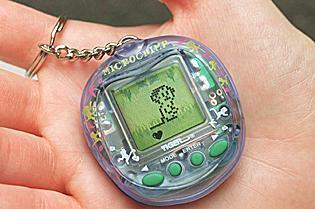 (Tamagotchi, pictured right). That being said - today I taught my three year old how to "feed the fish" and "clean the tanks" and she became obsessed, all day long asking if we could check to see if the fish were hungry. We were with my parents, and being loving grandparents, they too wanted to see how they could share the opportunity of letting their grandchild feed the virtual fish. So, the application I almost deleted is now being logged into with regularity. Oh, Tap Fish! Recently spent a week in Boston and was reminded of (1) The number of contemporary films that use Boston as a setting (2) what makes Boston a unique film setting. "Recent" films taking place in Boston include Good Will Hunting, The Town, Fever Pitch, Mystic River, Gone Baby Gone, The Departed, With Honors, The Boondock Saints, A Civil Action, Next Stop Wonderland, The Fighter, and much of The Social Network. Now, certainly actor Ben Affleck & writer Dennis Lehane have something to do with this, but I think there are certain reasons why Boston makes a good film setting. (1) Accent - An accent can create a "unique setting" in itself, and also some award attention if done right, those Oscar voters love accents. (2) Visual Striking Neighborhoods - The neighborhoods in Boston all have a unique feel and in the midst of tall buildings, and row houses, you get some crazy angled streets, cobblestone, the bay, the rivers, etc. (3) A Walking City - This city is a walking city, where private vehicles in the city are more of a nusiance than anything else, so this means you have people interacting in a variety of ways, with limited scenes in cars and private residences. (4) European Stereotypes - The Italians, the Irish, and the mobs. Watching the news in Boston is sometimes in itself seems like a movie pitch and these European underground society and local pride creates story lines in themselves, as well as unique affiliations and relationships. This also often createes a "gray line" where black and white, good and evil, right and wrong don't seem to be so clear. (5) Fenway - Fenway Park is a place so unique to Boston - so whether there's an exciting fight scene in Boston (as we see in The Town), or a movie about Boston baseball (Fever Pitch) or even a short trip to the stadium (Moneyball) this setting is unique and can only be shot in one place - Boston. 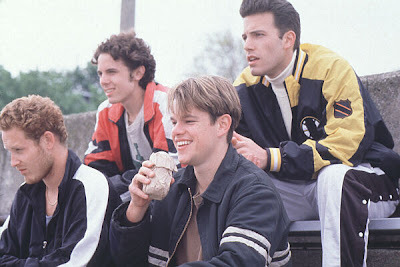 (6) Colleges, Namely Harvard - There are so many colleges in Boston, and college stories often hit the cineplex - and that's why we see schools like MIT & Bunker Hill Community College in Good Will Hunting, or scenes dealing with Harvard in Legally Blonde, The Social Network, or The Firm. (7) Multiple Socio-Economic Classes - Look no further than Mystic River, Good Will Hunting, or The Fighter to see that there is definitly room for a variety of social classes in a single film. Phone Rant Revisted: Remember the Motorola RAZR? I recently wrote a post title "Phone Rant" in which I complained about the state of the phone market and the smart phone, and the rapid transformation of the phone. I wanted to post a picture of the Motorola RAZR - the hot "must have phone" from the past decade. 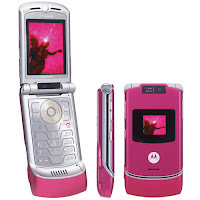 If I have my research right, it seems to me it was Fall 2005, that the Pink Motorola RAZR came out. 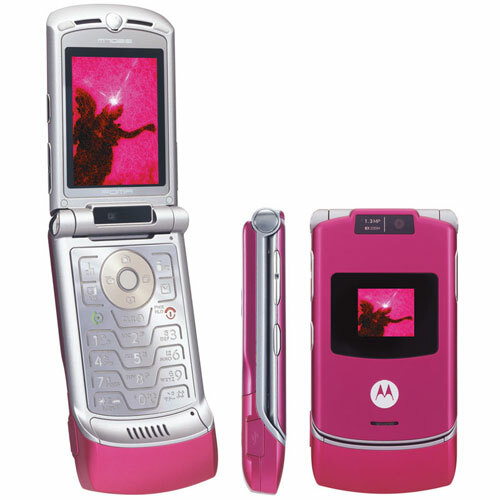 I remember people attempting to break their cellular phone contracts in order to get your hands on this thin flip phone in pink. I remember people paying a premium price (I want to say $200) for this top of the line "hot market" phone. And that was just 5 years ago - in retrospect, I scratch my head trying to remember what the big deal was about the RAZR, I didn't have one, but I was pretty content with my cell phone at that time and it wasn't on the radar. But perhaps if you can remember, why was it that this phone got everyone's attention and was the hot product offering? Look how far the phone industry has come, and it's no wonder, I look at the industry and wonder where it goes next, and wonder if we are better for the changes in the phone industry (if we even want to call the new phone, a phone). 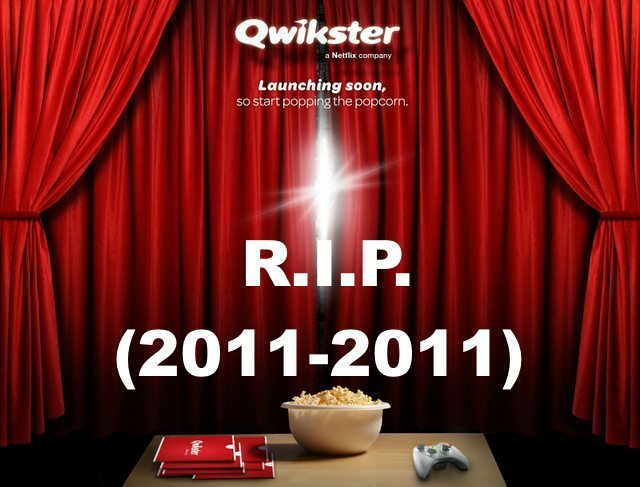 In another universe, the Qwikster CEO Andy Rendich, owns a company. But now the Netflix spinoff company is dead in it's first month and Netflix realized they had killed their domestic brand. Good thing I didn't start the popcorn. So this is just a short version of the rant. But...what happened to the phone? Somehow my cell phone last night wigged out and two years later it was time to get a new cell phone, new contract, yada, yada, yada. But...I walk into the cell phone store and every phone was a smart phone. Dumb phones didn't exist anymore. In all my research of what I wanted, every option was a bad option. I knew I needed at a minimum a phone with text messaging because no one talks on the phone any more, and I could forgo other "phone perks" if the price was right, but short of a pre-paid phone, my options were limited to start picking and choosing features...at least when it came to minimizing what has now become standard "bells & whistles." I know, I know, I sound like an old man. But when did a phone need to also play music, double as a level and flashlight, and come with built in maps and games? Then there's all the add ons...everything from "starting the night for free nights and weekends earlier" or "road side assistance" with your phone -- really...road side assistance? Not to mention, the checkout process includes questions like "would you like to pay $1.99 a month to receive a paper bill?" What happened to the phone? 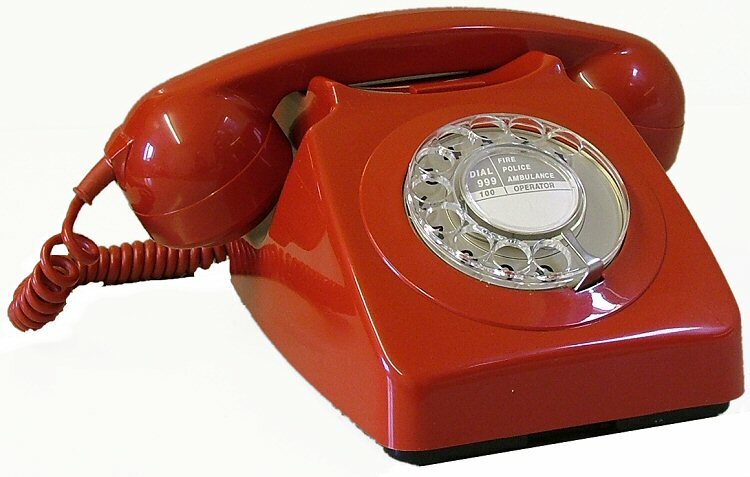 We can hardly call this thing a phone. If you follow college football - then the conference realignment is high drama. Rumors, speculation, announcements, and more speculation. The 6 BCS conferences are all adjusting, with each domino impacting another. The Big 10 has 12 schools. The Big 12 is starting to sound like a rocket launch countdown...10...9...8....7...until today announcements were made that indicated that TCU, set to join the Big East next year, may go to the Big 12 (10, 9...) instead of hitting the Big East for the first year. That's in part because the Big East just lost 2 teams to the ACC and the weakest football conference of the 6 is looking weaker. The Pac 12 (last year's Pac 10) seems to always be in talks to become a super conference of 16 conferences, and the South East Conference (SEC) seems like it could chose to follow the same path as it expands from 12 to 13 teams next year when it picks up Texas A&M. Sometimes it's hard to tell if what's happening is just musical chairs or something different, but there's a hope that this all settles and teams can play each other, rivalries and tradition can formed and re-established, and every week there won't be conference shifting news. Although, it doesn't look like the shuffling is done yet and it's hard to tell where exactly this all goes, but if you blink you might miss something. Don't book your airfare for next years games yet, the ripples are still moving. You may remember Harold Camping - the guy who created a little bit of chaos and a lot of jokes over his predictions that the world would end on May 21, 2011. Well - I expect this link will be disabled after October 21st, but he's at it again with some clarification (here) of why he thinks we didn't see the world end in May. And instead the prediction has moved to October 21, 2011. I read these types of things and want to laugh and I get frustrated at the same time. I laugh because it's ridiculous and I want to make jokes like a night time talk show host. I'd love to know how Mr. Camping, reconciles these words of Jesus found in the Gospel of Saint Matthew? **emphasis in the above image is mine. 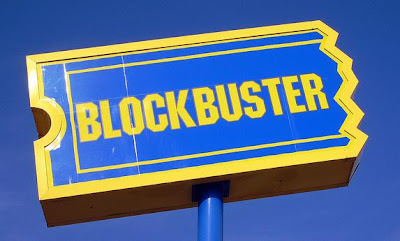 Years ago - years...years...years...I did Blockbuster Online's DVD-by-mail program, and found myself disappointed with the program because it took too long to get video's and I didn't get the films that I wanted. My wife and I do Netflix (on and off again) for the DVD by mail service especially when there's certain movies we want to see we know we can't easily get elsewhere, or there's a new TV show on DVD we want to rock 'n roll through. With the changes to Netflix's prices (and there DVD by mail services) we decided to try out Blockbuster Online again to get a copy of Fox's Fringe, since we had enjoyed Season 1 and wanted to watch Season 2 & 3. It was unbelievable, we stacked the queue to get Fringe, and in case it wasn't available, I put a couple other selections in following. To my surprise, after waiting almost a week after subscribing to to get a DVD by mail, they shipped me something that was probably my 33rd option - a film in my queue that had been there years ago. I did the in store exchange to get a recent release my wife and I wanted to watch. Upon returning that got another movie (very delayed) that was way back in my queue, and blockbuster skipped over all the recent movies to give me something that they would consider in one of their stores "a 99 cent favorite." Blockbuster had a chance to gain my business, and lost it with slow deliveries and the failure to provide what I was requesting. My wife didn't really care about the Academy Awards until we started dating, and while she doesn't necessarily track awards coverage, she does want to try to watch the best picture nominated films prior to the award show, and if possible, before the nominations are announced. Now, certain films, are just of no interest to her and she will pull out the "I PASS" card on certain films. So the other night we were watching some film trailers and tracking her interest of the films based on the two-or-so minute preview. Here's her quick knee jerk comments (usually seven words or less) after we watched the previews. Extremely Loud and Incredibly Close: That looks good, I want to see it. The Artist: Is it really silent? Is it a remake? Sure, I'll see that. The Descendants: The could be good, I'll see it. War Horse: A movie about a horse, I don't know if I can do it. Pictured above, Thomas Horn in Extremely Loud and Incredibly Close.